A physical erosion process, the wearing down of rock particles by friction due to constant scratching. Where solid particles are moved across a solid surface with the help of wind or water. 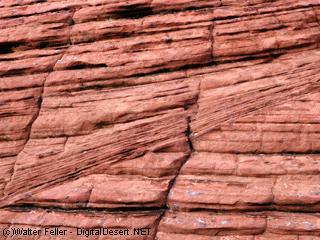 The beehives in the Valley of Fire were formed by abrasion.